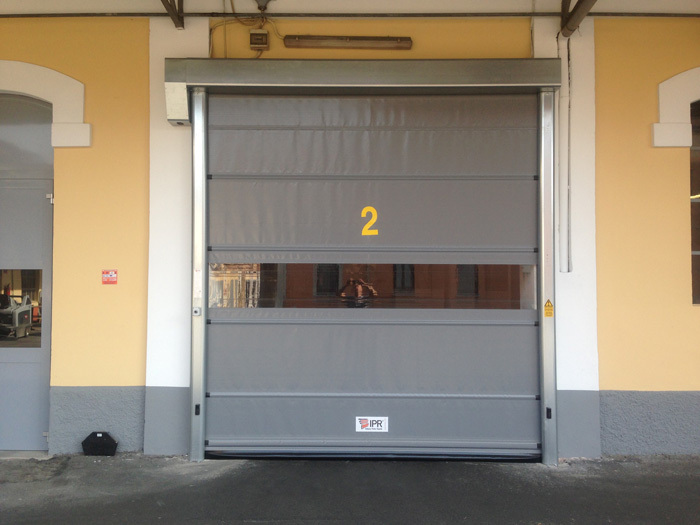 The new range of rapid doors from Italian manufacturer, designed for industrial applications. 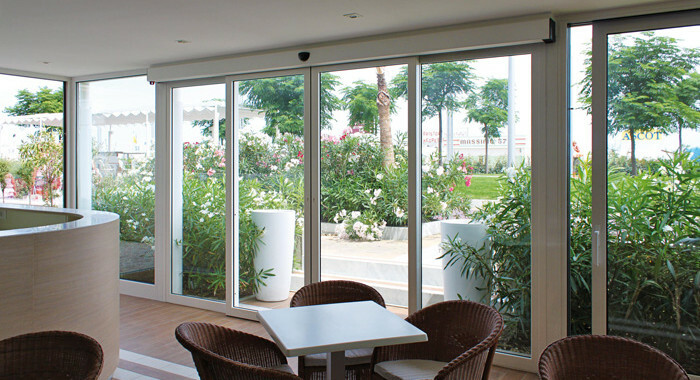 This roll-up polyester door is strong, compact and functional. The three-phase gearmotor can be used continuously and intensively so this door can be installed in high-traffic areas. A counterweight can be added as an option, to reduce wear and extend the life of the gearmotor, increase the opening speed, and to give a fail-safe override in case of power failure. The appearance of the High Speed Door can be customized to match your requirements, with a wide ranging choice of curtain colours and frame finishes. Vision panels or full width PVC sections can also be used, and the curtains can have screen-prints of logos or other designs as needed. Many safety devices can be selected depending on the type of traffic and the requirements of the site. Examples include a wireless resistive safety edge, photocells, or induction loops. All in all, the High Spedd Door is a hard-working, cost-effective, safe and reliable door for demanding industrial applications.